In March 2007, the European Council accepted a European Commission proposal to cut at least 20% of greenhouse gas emissions, compared to 1990 levels, from all primary energy sources by the year 2020 greenhouse. Since that time, the European Commission has been working manufacturers of transformers (including dry type distribution, oil type distribution, medium power, and large power transformers) and users to reduce CO2 emissions related to this equipment by trying to maximize its efficiency and minimize its lifecycle costs over its average expected useful service life of 40 years. At the forefront of these efforts, Regulation 548/2014, effective after July 1, 2015, set out maximum levels of losses permitted for transformers. This implementing regulation has been accompanied by CENELEC standards EN 50588 and EN 50629, addressing medium voltage and large power transformers, respectively, outlining new levels of allowable losses, along with other design requirements. As a result, today’s transformers have been designed for reduced losses. This more efficient equipment does come with a higher first cost, but offers ongoing electricity savings that should lead to lower total lifecycle costs. And the reduction in related greenhouse gas emissions is significant: A 1000 kVA transformer manufactured to the new requirements will produce 25% less CO2 when loaded at 40%, versus older equipment. This can translate into a reduction of more than 6 tons of CO2 per year. A 2017 European Commission study reviewing the impact of Regulation 548/2014 found the rule will lead to significant reductions in energy consumption. These energy savings have been estimated at 16 terawatt-hours (TWh) per year from 2020 onwards, which corresponds to 3.7 megatonnes of avoided CO2 emissions. This is equivalent to saving half of the annual electricity consumption of Denmark (32 TWh) per year. Some manufacturers are reaching beyond the minimum requirements outlined in Regulation 548/2104, to address additional environmental impacts related to the manufacturing and ownership of medium voltage transformers and high power transformers. Their products are fully compliant with Eoli principle (End of life management), PEP (Product environment profile), REACh (registration, evaluation, authorization and restriction of chemicals) and ROHS (Restriction of Hazardous Substances) requirements. 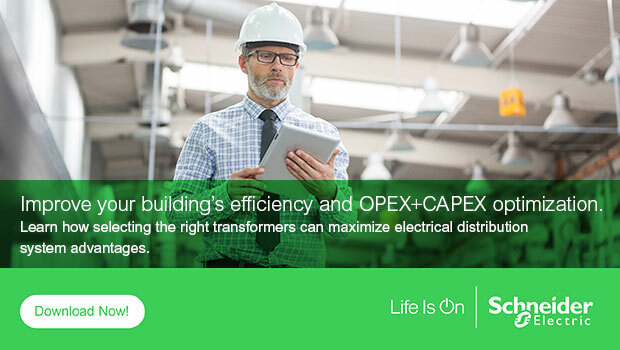 Download the white paper “How to Specify Cast Resin Transformers for Commercial and Industrial Building” to learn more about specifying these new “green” transformers. And you can also visit our Consulting Engineer Portal for more resources and to connect with our engineering specialists.